The Reading-Berks Association of REALTORS® (R-BAR) is a professional trade association for licensed real estate practitioners. Membership in the organization is voluntary and consists of both residential and commercial agents, including brokers and industry affiliates. R-BAR’s membership currently consists of approximately 1,000 real estate licensees, and only Realtor® members are authorized to use the trademark term, REALTOR®. The Reading Berks Association of Realtors® exists to serve its members. 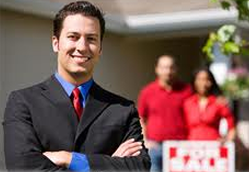 We uphold the high standards of the Realtor® Code of Ethics. We advocate for private property rights and homeownership and strive to improve the quality of life in our communities. The Reading-Berks Association of Realtors®, Inc. was chartered on March 15, 1922, by the National Association of Real Estate Boards as the Reading Real Estate Board. Wayne K. Leinbach served as the first President. The Board changed its name to the Greater Reading Board of Realtors and was incorporated in 1972, the Board’s 50th year. The Board again changed its name to the Reading-Berks Association of Realtors®, Inc. in 1993. “Association” was chose to correspond with the Pennsylvania Association of Realtors® and the National Association of Realtors®. The territorial jurisdiction of the Association includes the City of Reading and the County of Berks. The objects of the Association are to unite those engaged in the branches of the real estate profession for the purpose of exerting a beneficial influence upon the profession and related interests; to provide a unified medium for real estate owners and professionals whereby their interests may be safeguarded and advanced; to promote and maintain high standards of conduct in the real estate profession; to further the interests of home and other real property ownership; to designate those individuals entitled to use the protected designation REALTOR®. R-BAR is represented on the 2019 PAR Board of Directors. We currently have 4 board seats held by Merlin Weaver, Mark Mohn, Sharon Kehres, and Angela Tolosky. We also have two alternates seats held by Vicki Venezia and Dave Mattes. R-BAR is represented by the President of PAR when votes are held at the National Association of REALTORS®.